This Crystal Boudoir Chandelier is for sale on One Kings Lane for $649. It's part of a Tastemaker Tag Sale curated by The Paris Apartment, and one of the best items in the collection. 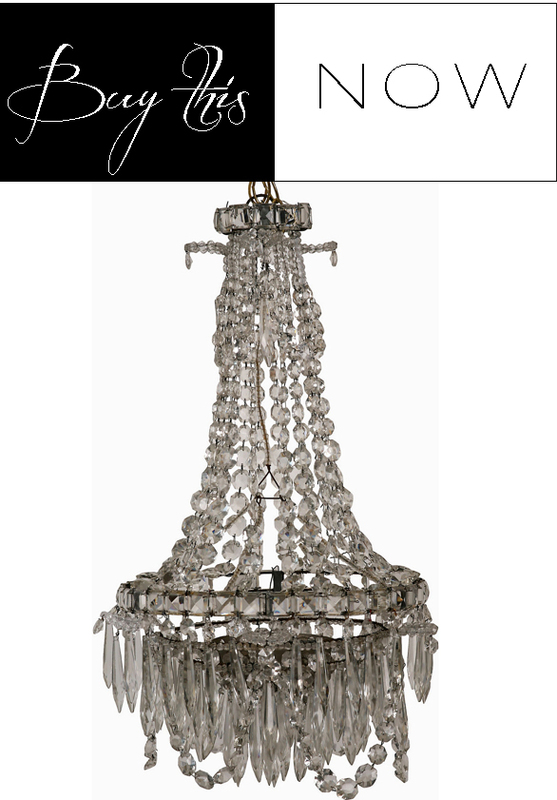 $650 is no chump change, but I dare you to find a crystal chandelier like this for a better price. Plus, you could put it in a room with nothing but cardboard box furniture and cat hair balls and it would be design mag ready. Or just buy it for me. Cause I'd make it mine if I could. Would you accept some Mardi Gras beads and a coat hanger? Cause I can do that.